Garden Shows are a wonderful way to gain information and inspiration for you garden. Gardening Shows in 2019 include major commercial events and smaller Gardening Club seasonal and annual shows. Some of the best events to attend are those that are run in conjunction with Open Gardens. A few outstanding events are the ones attached to historic properties. Many events will include plant sales, speakers and landscaping exhibitions as well. We provide a guide to gardening and garden shows, garden fairs and gardening events across Australia, As well as links to Major UK and USA gardening events. A free listing service for clubs, societies and event managers, worldwide coverage through the Nurseries Online Group. And if you have an open garden, for a charity, fundraiser or just to allow people to visit, let us a know and will will publish the dates, and maybe a photo or two. Orchids Out West comprises beautiful displays put on by the local orchid societies such as Blacktown City Orchid Society, Blue Mountains and Penrith District Orchid Society, Hawkesbury District Orchid Society. There are also lots of orchids for sale from vendors from around Australia. 11th April- 14th April 2019. $20 Adults – Children under 16 Free. 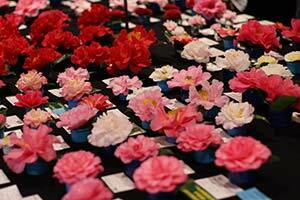 Ferny Creek Horticultural Society Autumn Show. Featuring hydrangeas, autumn foliage, proteas and autumn flowering bulbs. “Annual list of major garden shows for Melbourne. Over two days and attendees will be given priority access to the adjacent plant sale. Speakers include Sophie Thompson, Kim Syrus, Trevor Nottle, Karen Montgomery, Dr. Uwe Stroeher and George Hoad. There will also be Garden Visits which are designed to please, enlighten and educate. 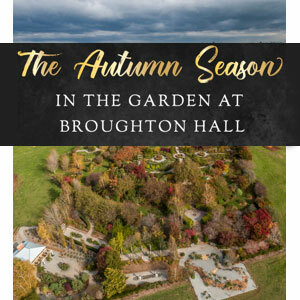 $95 for two days included Morning and Afternoon Tea, Lunch and Garden visits.